One of the most difficult skills to do well is, I think, comparison, and it’s often what distinguishes really good writers – the ability to hold both texts together and weigh them against one another. This post explores some ways to plan a comparative answer – before you’re in the exam hall! GCSE: Explore the way Browning presents painful relationships in ‘Porphyria’s Lover’ and one other poem from the Relationships cluster. 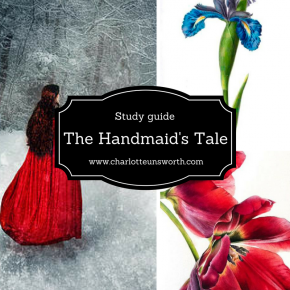 A-Level: Dystopian writing often portrays a bleak future for women. By comparing at least two of the prescribed texts, explore how far you agree with this view. In your answer you must include discussion of either Nineteen Eighty-Four and/or The Handmaid’s Tale. Both expect you to explore a theme – painful relationships, or representation of women A-Level suggests a narrower starting point for your argument. 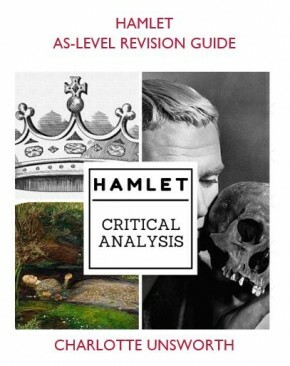 Keep both texts present in the essay throughout. Don’t write one paragraph on text A, a second on text B and so on. Introductions and conclusions will directly compare the texts, probably making reference to differences not only of theme and idea but of context – what influences have made this work different to this other one? There’s been a lot written elsewhere about the ability to prepare before an exam – an exam is a showcase, a snapshot of what you can learn. You can go into it knowing what you want to write about, and this blog from Mark Roberts explores that further. The comparison will be easier, because you’ll have an element of argument built into the statement. Jealousy, and a lack of willingness to see women as equals, leads to painful relationships in Porphyria’s Lover and The Farmer’s Bride. By using the dramatic monologue form, the poet doesn’t allow us to see the extent of the women’s painful experiences in Porphyria’s Lover and The Farmer’s Bride. Despite only ever expressing their own voices, the speakers can’t help but expose the pain of both people in the relationship. How far is this true of Porphyria’s Lover and Winter Swans? Using statements like these focuses revision, and makes the workload more manageable; you’re not preparing for a complete unknown anymore. Statement: Jealousy, and a lack of willingness to see women as equals, leads to painful relationships in Porphyria’s Lover and The Farmer’s Bride. PL à Pathetic fallacy opening, P’s effect on the fire. Dramatic monologue – broken rhyme scheme etc. Context: gothic imagery Ending – broken exclamatives, repetition, focus on hair – is this prelude to a more violent action? Context – Mew’s a female writer; how sympathetic is she to farmer? Change of power mid-way through. Active at first is Porphyria, then Lover. Lover’s power in the opening is through silence. Emphasis on bride’s silence. Verb “chose” at start – lack of equality. She separates herself to attic. The great thing about this is that you can plan these statements during your revision so that when you go into an exam, you already have an idea what you want to write. A little tweaking to use the wording of the question (love/marriage/relationships all have the basic same statement, for example, or a question on Jane Eyre is worded using the language of “independence” from the question) – and you’re ready to write with confidence. Comparison is something I really struggle with at the depth required at A-Level. I find it hard to include every AO (context, interpretations and my actual argument) whilst comparing the two texts together. 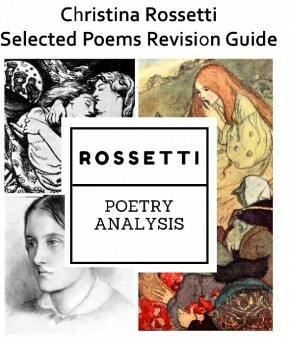 I was wondering if you could maybe write a few exemplar essay plans/responses to some of the Rossetti/A Doll’s House questions that you have supplied (which by the way have been so much help, thank you so much for them).